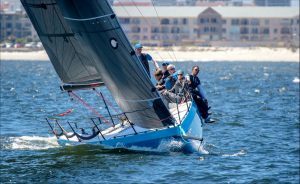 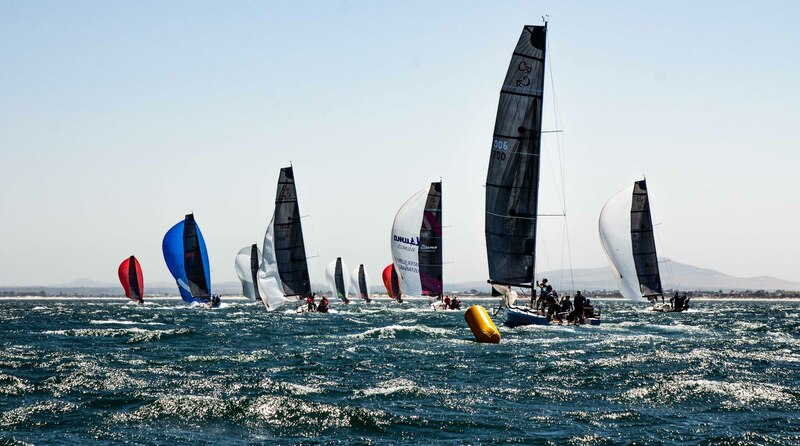 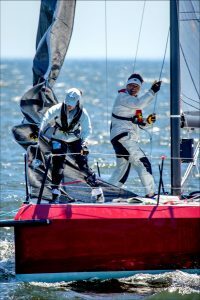 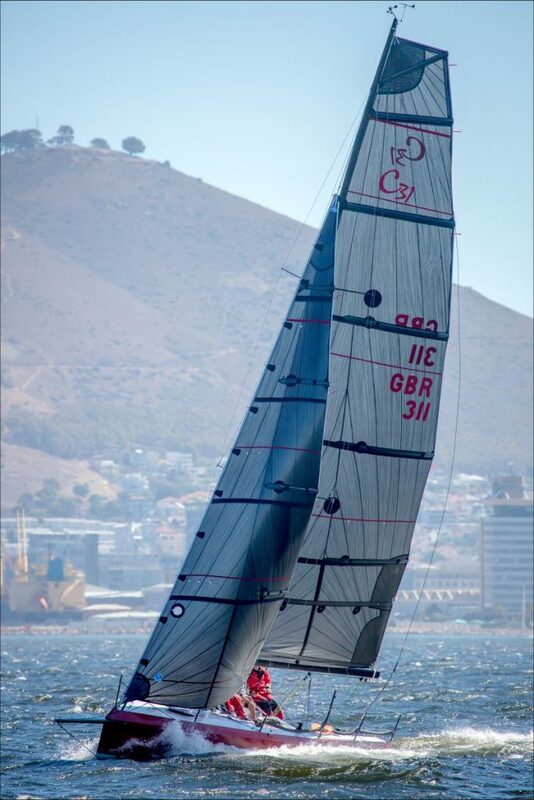 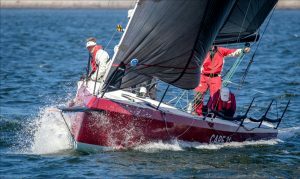 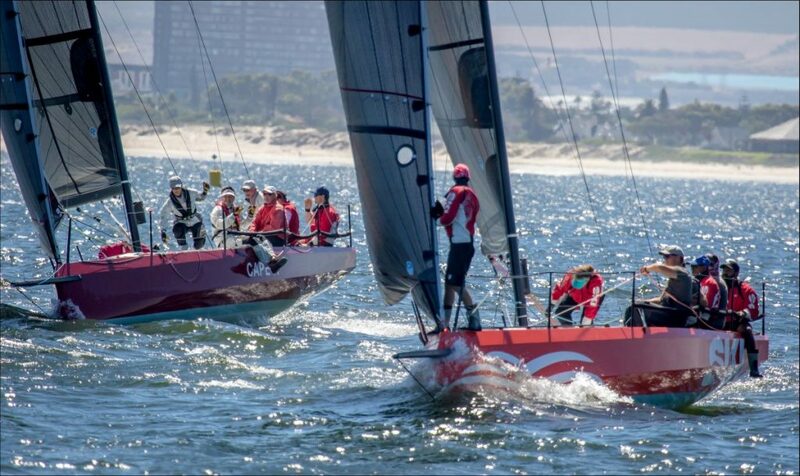 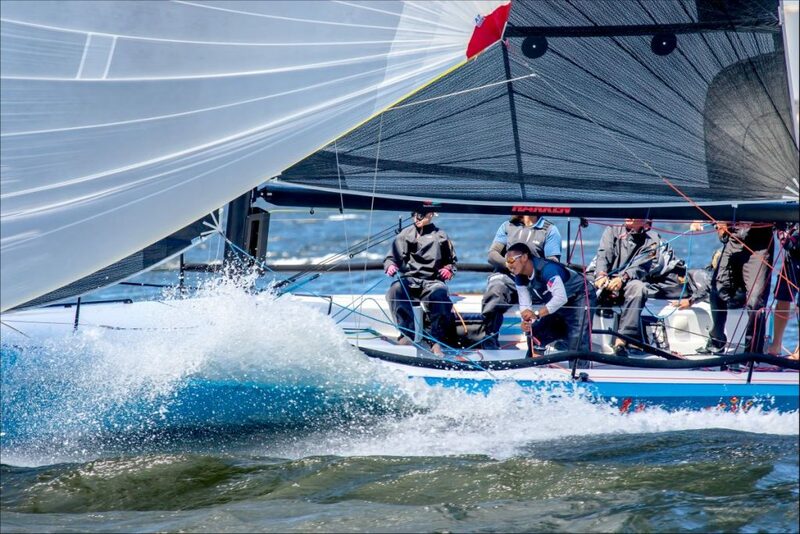 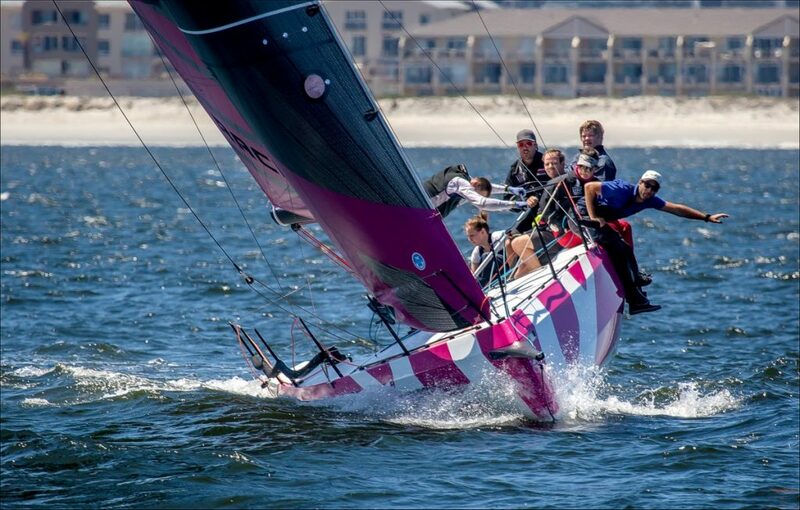 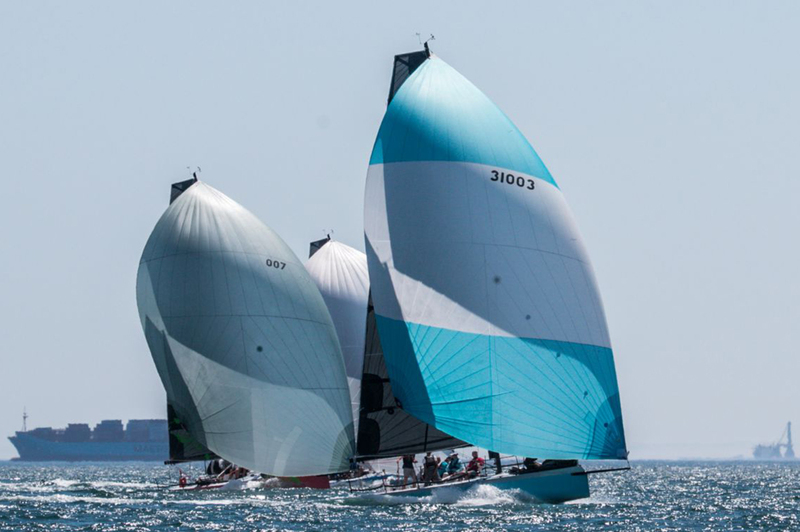 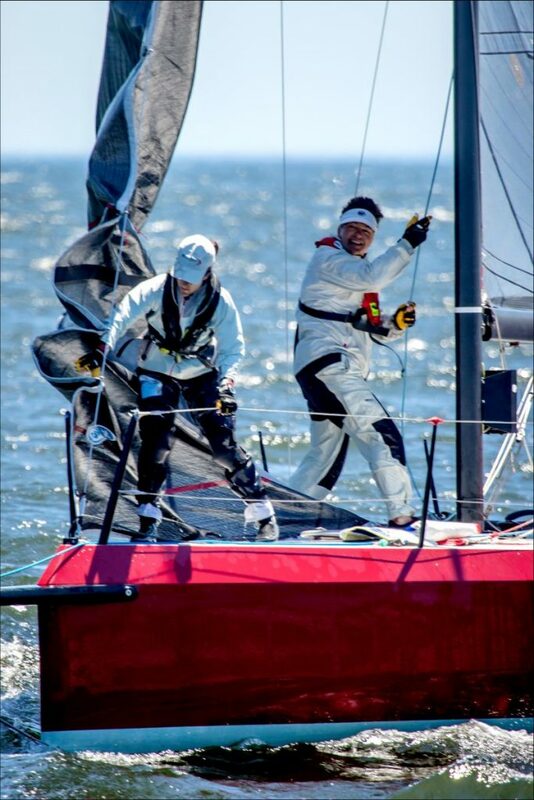 The Cape 31’s were on display this weekend in the 2nd Cape 31 International Invitational. 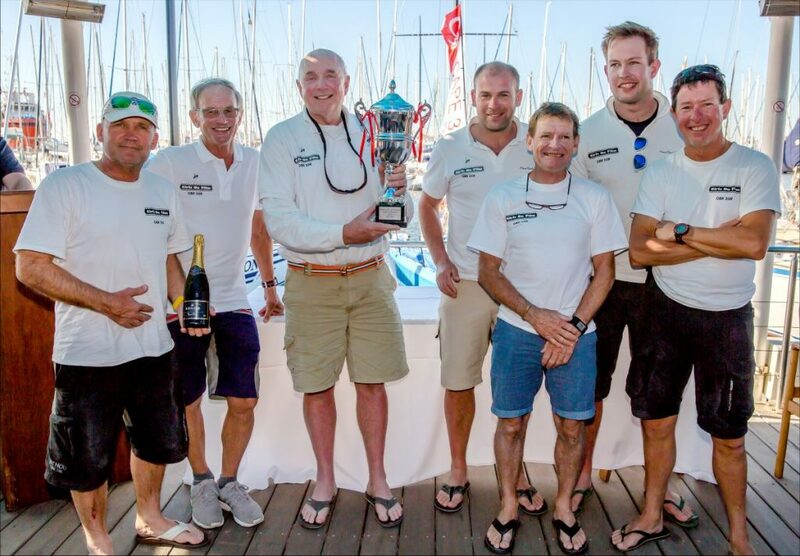 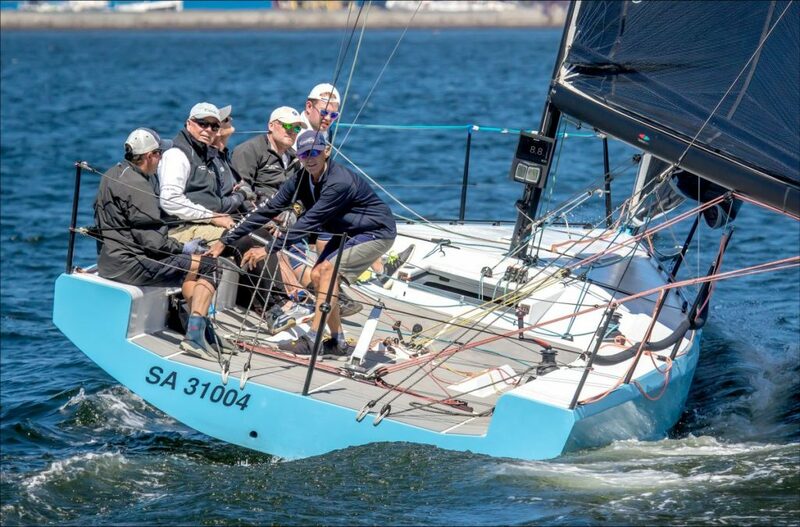 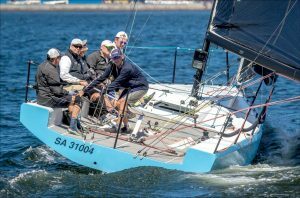 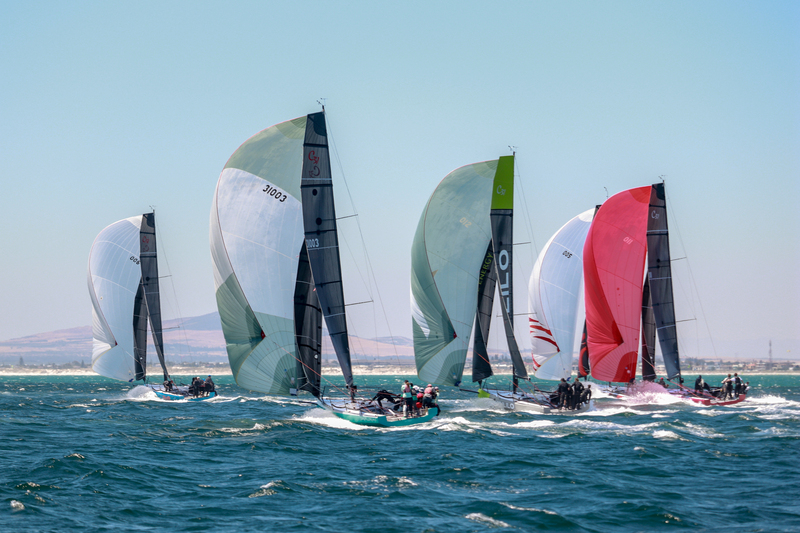 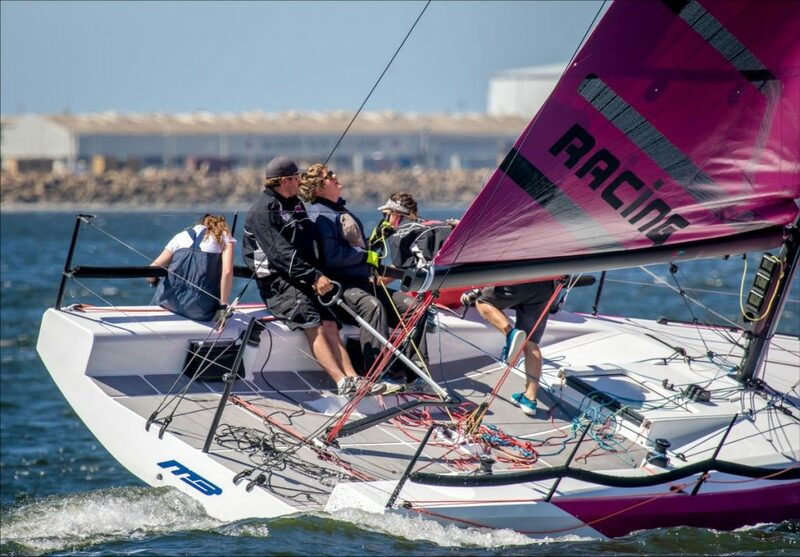 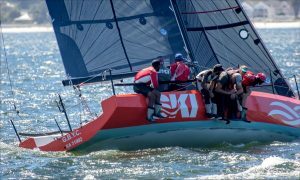 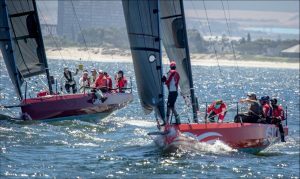 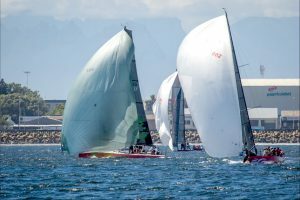 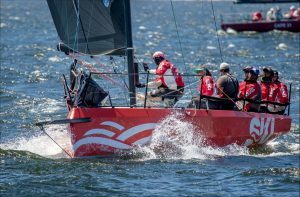 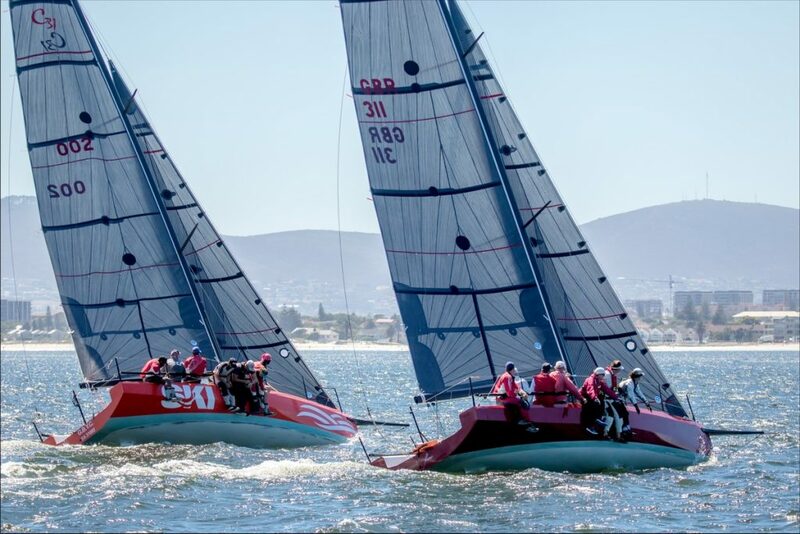 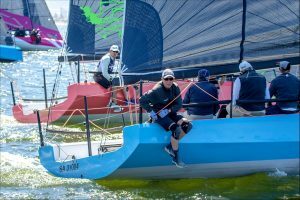 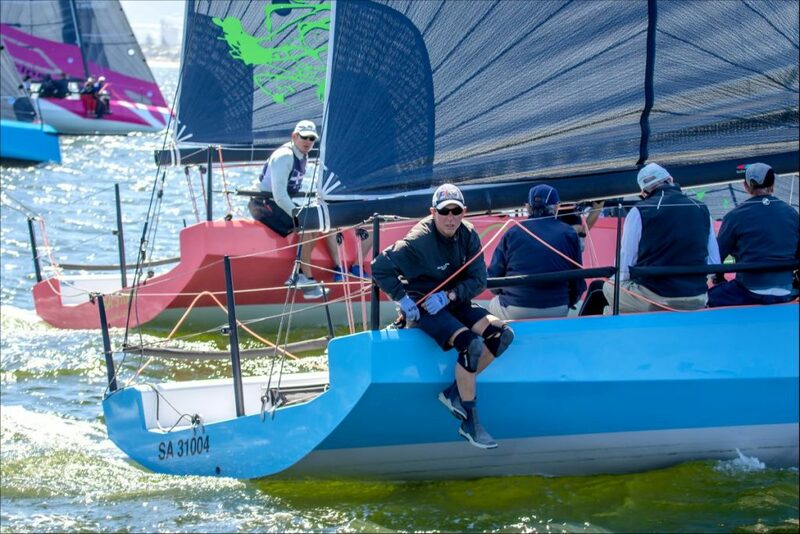 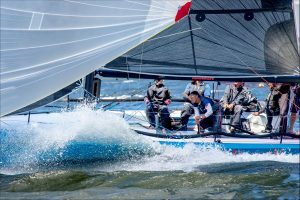 Three visiting teams from the Royal Ocean Racing Club, the Royal Thames Yacht Club and Royal Perth Yacht Club joined the local teams on the race course. 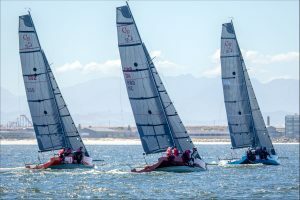 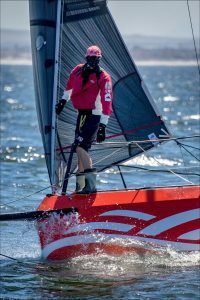 Race Officer, Stuart Childerly set short and long courses in the mix of light SW and strong SE winds, which offered the teams a chance to test their skills in all conditions. 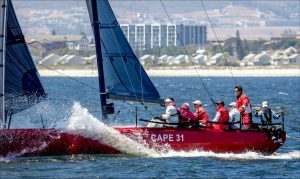 Cape 31 designer, Mark Mills gave a talk on how the design came about and watched the young fleet sailing for the first time. 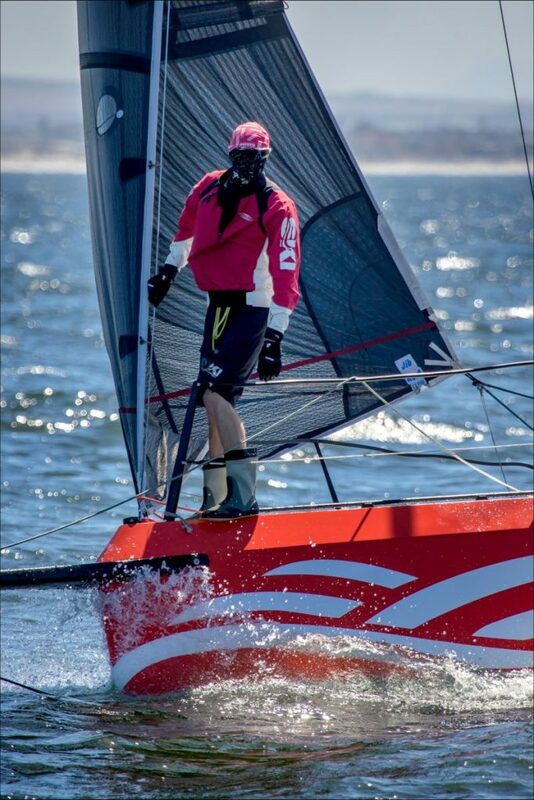 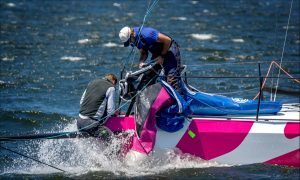 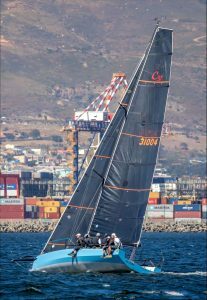 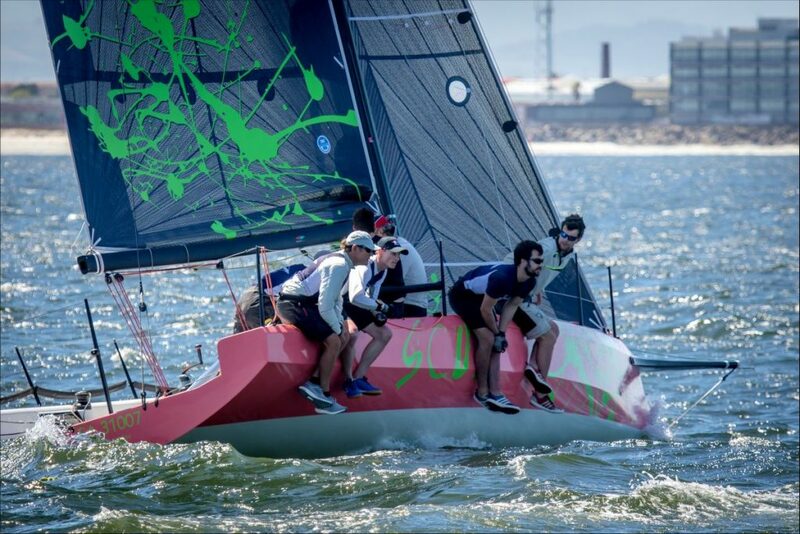 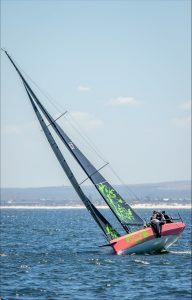 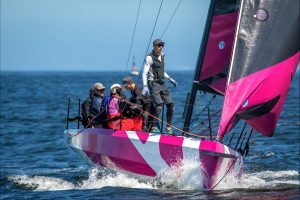 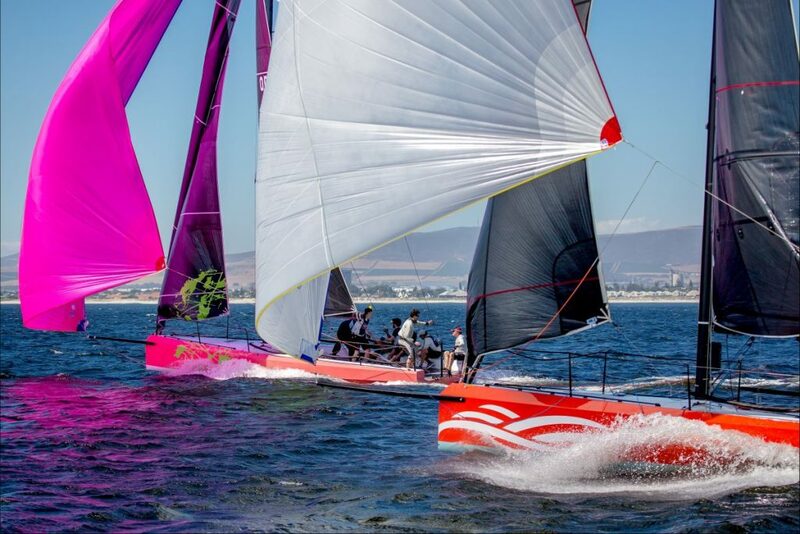 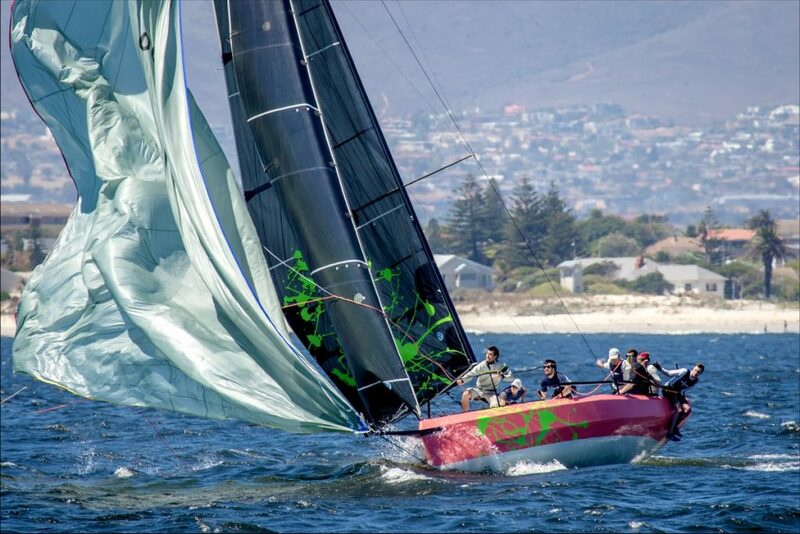 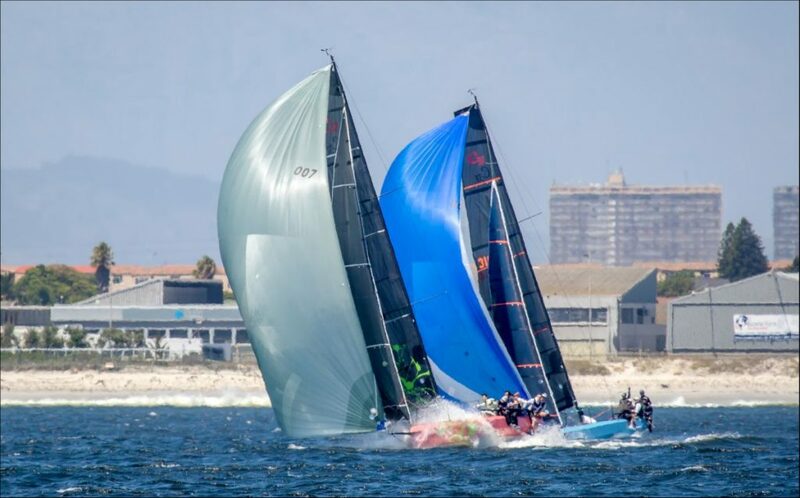 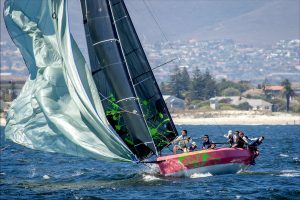 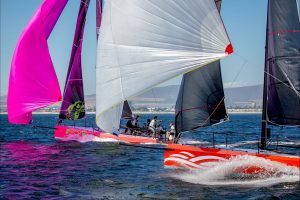 Hull number 8, Bjorn Geiger’s “MB” raced for the first time against the full fleet adding another colourful boat to the Cape 31 family. 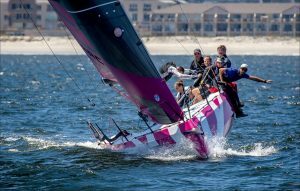 Peter Morton’s ‘Girls on Tour’ from RORC won the event followed by Joshua Flack on RTYC ‘Scud’. 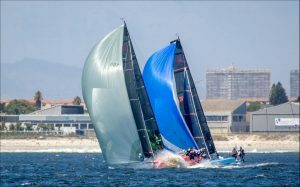 Philip Baum’s Nemesis, took third place.